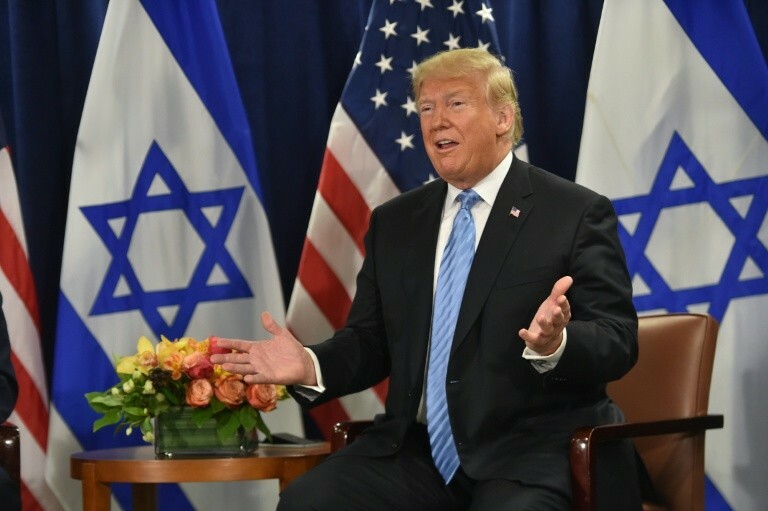 TEL AVIV — Marking a monumental shift in U.S. policy that would help ensure Israel’s security into the future, President Donald Trump on Thursday declared that the time has come for America to “fully recognize” Israeli sovereignty over the Golan Heights. Prime Minister Benjamin Netanyahu called Trump to thank him by phone. “You made history,” Netanyahu’s office quoted him as saying. “At a time when Iran seeks to use Syria as a platform to destroy Israel, President Trump boldly recognizes Israeli sovereignty over the Golan Heights. Thank you President Trump,” Netanyahu subsequently said in a tweet.